A cautionary tale is a tale told in folklore, to warn its listener of a danger. There are three essential parts to a cautionary tale, though they can be introduced in a large variety of ways. First, a taboo or prohibition is stated: some act, location, or thing is said to be dangerous. Then, the narrative itself is told: someone disregarded the warning and performed the forbidden act. Finally, the violator comes to an unpleasant fate, which is frequently related in expansive and grisly detail. Zincography was a planographic printing process that used zinc plates. Alois Senefelder first mentioned zinc's lithographic use as a substitute for Bavarian limestone in his 1801 English patent specifications. In 1834, Federico Lacelli patented a zincographic printing process, producing large maps called géoramas. In 1837–1842, Eugène-Florent Kaeppelin perfected the process to create a large polychrome geologic map. Parochialism is the state of mind, whereby one focuses on small sections of an issue rather than considering its wider context. More generally, it consists of being narrow in scope. In that respect, it is a synonym of "provincialism". It may, particularly when used pejoratively, be contrasted to universalism. The term insularity may be similarly used. In the fields of philosophy and æsthetics, the derogatory term philistinism describes “the manners, habits, and character, or mode of thinking of a philistine”, manifested as an anti-intellectual social attitude that undervalues and despises art and beauty, intellect and spirituality. A philistine person is a man or woman of smugly narrow mind and of conventional morality whose materialistic views and tastes indicate a lack of and an indifference to cultural and æsthetic values. Onomatopœia is the process of creating a word that phonetically imitates, resembles, or suggests the sound that it describes. As such words are uncountable nouns, onomatopoeia refers to the property of such words. Common occurrences of words of the onomatopoeia process include animal noises such as "oink", "miaow", "roar" and "chirp". Onomatopoeia can differ between languages: it conforms to some extent to the broader linguistic system; hence the sound of a clock may be expressed as tick tock in English, tictac in Spanish, dī dā in Mandarin, katchin katchin in Japanese, or "tik-tik" in Hindi. Busch was influential in both poetry and illustration, and became a source for future generations of comic artists. The Katzenjammer Kids was inspired by Busch's Max and Moritz , one of a number of imitations produced in Germany and the United States. The Wilhelm Busch Prize and the Wilhelm Busch Museum help maintain his legacy. The 175th anniversary of his birth in 2007 was celebrated throughout Germany. Busch remains one of the most influential poets and artists in Western Europe. Max and Moritz: A Story of Seven Boyish Pranks is a German language illustrated story in verse. This highly inventive, blackly humorous tale, told entirely in rhymed couplets, was written and illustrated by Wilhelm Busch and published in 1865. It is among the early works of Busch, nevertheless it already features many substantial, effectually aesthetic and formal regularities, procedures and basic patterns of Busch's later works. Many familiar with comic strip history consider it to have been the direct inspiration for the Katzenjammer Kids and Quick & Flupke. The German title satirizes the German custom of giving a subtitle to the name of dramas in the form of "Ein Drama in ... Akten", which became dictum in colloquial usage for any event with an unpleasant or dramatic course, e.g. "Bundespräsidentenwahl - Drama in drei Akten". Wiedensahl is a municipality in the district of Schaumburg, in Lower Saxony, Germany. At the age of 19 Henriette Kleine married surgeon Friedrich Wilhelm Stümpe. Henriette became widowed at the age of 26, with her three children to Stümpe dying as infants. 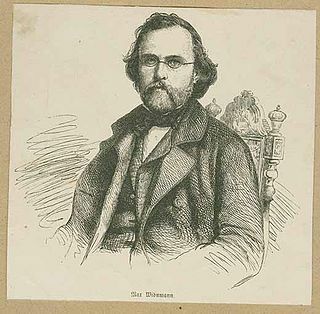 About 1830 Friedrich Wilhelm Busch, the illegitimate son of a farmer, settled in Wiedensahl after completing a business apprenticeship in the nearby village of Loccum. He took over the Kleine shop in Wiedensahl, which he completely modernised. He married Henriette Kleine Stümpe. Loccum is a village situated about 50 km north west of Hanover in the district of Nienburg in Lower-Saxony, Germany. It has been a part of the city of Rehburg-Loccum since 1974. Loccum covers an area of 32 km² with a population of about 3166 people (2003). Busch lived with his sister Fanny's family after her husband Pastor Hermann Nöldeke's death in 1879. His nephew Adolf Nöldeke remembers that Busch wanted to move back to Wiedensahl with the family. Busch renovated the house, which Fanny looked after even though Busch was a rich man,  and became "father" to his three young nephews. She would, however, have preferred to live in a more urban area for the education of her sons. For Fanny and her three sons, Busch could not replace their former idyllic life. The years around 1880 were psychically and emotionally exhausting for Busch, who was still reliant on alcohol. He would not invite visitors to Wiedensahl; because of this Fanny lost contact with her friends in the village,  and whenever she questioned his wishes, Busch became furious. Even his friends Otto Friedrich Bassermann, Franz von Lenbach, Hermann Levi and Wilhelm von Kaulbach were not welcome at the house; he would meet them in Kassel or Hanover. Busch stopped painting in 1896 and signed over all publication rights to Bassermann Verlag for 50,000 gold marks. Busch, now aged 64, felt old. He needed spectacles for writing and painting, and his hands trembled slightly. In 1898, together with his aging sister Fanny Nöldeke, he accepted Bassermann's suggestion to move into a large parsonage in Mechtshausen. Busch read biographies, novels and stories in German, English and French. He organized his works and wrote letters and poems. Most of the poems from the collections Schein und Sein and Zu guter Letzt were written in 1899. The following years were eventless for Busch. Busch felt his painting skills could not compete with those of the Dutch masters. He regarded few of his paintings as finished, often stacking them one on top of the other in damp corners of his studio, where they stuck together. If the pile of paintings became too high, he burnt some in his garden. Since only a few remaining paintings are dated, categorizing them is difficult. His doubts regarding his skills are expressed in his choice of materials. His ground was usually chosen carelessly. Sometimes he used uneven cardboard or poorly-prepared spruce-wood boards. One exception is a portrait of Johanna Kessler, on a canvas support measuring 63 centimetres (25 in) by 53 centimetres (21 in), one of his largest paintings. Most of his works, even landscapes, are small. As Busch used poor grounds and colours, most are heavily darkened and have an almost monochrome effect. 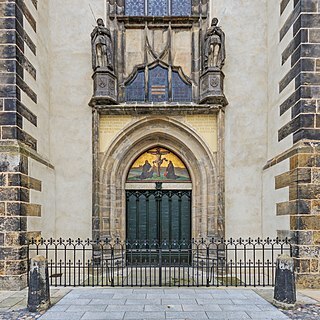 The Brothers Grimm, Jacob Ludwig Karl and Wilhelm Carl, were German academics, philologists, cultural researchers, lexicographers and authors who together collected and published folklore during the 19th century. They were among the first and best-known collectors of folk tales, and popularized traditional oral tale types such as "Cinderella", "The Frog Prince", "The Goose-Girl", "Hansel and Gretel", "Rapunzel", "Rumpelstiltskin", "Sleeping Beauty", and "Snow White". Their classic collection Children's and Household Tales, was published in two volumes, in 1812 and in 1815. Paul Klee was a Swiss-born artist. His highly individual style was influenced by movements in art that included Expressionism, Cubism, and Surrealism. Klee was a natural draftsman who experimented with and eventually deeply explored color theory, writing about it extensively; his lectures Writings on Form and Design Theory, published in English as the Paul Klee Notebooks, are held to be as important for modern art as Leonardo da Vinci's A Treatise on Painting for the Renaissance. He and his colleague, Russian painter Wassily Kandinsky, both taught at the Bauhaus school of art, design and architecture. His works reflect his dry humor and his sometimes childlike perspective, his personal moods and beliefs, and his musicality. Karl Friedrich May was a German writer best known for his adventure novels set in the American Old West. His main protagonists are Winnetou and Old Shatterhand. May set similar books in the Orient and Middle East, Latin America and Germany. May also wrote poetry, a play, and composed music; he was a proficient player of several musical instruments. Many of his works were adapted for film, stage, audio dramas and comics. Later in his career, May turned to philosophical and spiritual genres. He is one of the best-selling German writers of all time with about 200 million copies worldwide. Georg Moritz Ebers, German Egyptologist and novelist, discovered the Egyptian medical papyrus, of ca. 1550 BCE, named for him at Luxor (Thebes) in the winter of 1873–74. Now in the Library of the University of Leipzig, the Ebers Papyrus is among the most important ancient Egyptian medical papyri. It is one of two of the oldest preserved medical documents anywhere—the other being the Edwin Smith Papyrus. The Ebers papyrus, which was published as a facsimile with an English-Latin vocabulary and introduction, mentioned more than 700 substances and medical recipes that include incantations and concoctions. Johann Peter Hebel was a German short story writer, dialectal poet, evangelical theologian and pedagogue, most famous for a collection of Alemannic lyric poems and one of German tales. Adolf Bernhard Philipp Reinach was a German philosopher, phenomenologist and law theorist. Ebergötzen is a village in the District of Göttingen in Germany in Lower Saxony. It is 15 km from Göttingen and belongs to the Samtgemeinde Radolfshausen. Ebergötzen has 1,868 inhabitants. Ernst Pepping was a German composer of classical music and academic teacher. He is regarded as an important composer of Protestant sacred music in the 20th century. Moritz Eggert is a German composer and pianist. Heinz Politzer was an emigre from Nazism first to Palestine and then to the United States who taught German language and literature as a professor at the Bryn Mawr College, Oberlin College, and the University of California, Berkeley. He was a literary scholar, published poet, and prominent editor, particularly of Franz Kafka. As a close associate of Kafka's protégé, Max Brod, Politzer coedited with Brod the first complete collection of Kafka's works in eight volumes, published initially by the Schocken publishing house of Berlin during the early years of the Nazi dictatorship and subsequently by the successor firm Schocken Books in New York. The Schaumburg Forest is a wooded region, about 80 m above sea level (NN) with an area of around 40 km², in the district of Schaumburg in the German federal state of Lower Saxony. Max von Widnmann was a German sculptor and professor at the Academy of Fine Arts in Munich. Many of his works were commissioned by King Ludwig I of Bavaria. Two Men Contemplating the Moon and Man and Woman Contemplating the Moon are a series of similar paintings by Caspar David Friedrich, the setting being among his best-known works. Friedrich painted at least three versions, with one variation featuring a man and a woman. The 1819–20 version in the Galerie Neue Meister is thought to be the original; the c. 1824 variant with a woman is in the Alte Nationalgalerie; and the c. 1830 version is in the Metropolitan Museum of Art. Richard Mohaupt was a German composer and Kapellmeister. ↑ Gernhardt, Robert. "Schöner ist doch unsereiner" (in German). Retrieved 29 January 2013. ↑ Lammert, Andrea (15 April 2007). "Zuhause bei Max und Moritz" [At Home with Max and Moritz] (in German). Die Welt. Retrieved 14 January 2013. ↑ "Home Page" (in German). Wilhelm Busch – Deutsches Museum für Karikatur & Zeichenkunst. Retrieved 31 March 2013. ↑ "Gedenkstätten" [Memorials] (in German). Deutsches Museum für Karikatur und Zeichenkunst. Retrieved 14 January 2013. ↑ Knigge, Andreas C.: Comics – Vom Massenblatt ins multimediale Abenteuer, p. 14. Rowohlt Taschenbuch Verlag, 1996. ↑ Töpper, Stephan (22 December 2007). "Urvater des Comics" [Forefather of Comics] (in German). Der Tagesspiegel . Retrieved 28 January 2013. ↑ Claire Suddath (17 May 2010). "Top 10 Long-Running Comic Strips / The Katzenjammer Kids". Time magazine. Retrieved 20 April 2013.